Seaside Belle: Becoming a proper comper - 1st win is a maths prize! Becoming a proper comper - 1st win is a maths prize! It's just a couple of weeks after challenging myself to become a proper comper and I've already won something! Earlier this month, the lovely people behind the Ladybird Books blog posted about how you can help your child learn maths during their first years of primary school. And they were offering the chance to win one of three sets of Ladybird I'm Ready...for Maths! sticker workbooks and flashcards. All you had to do was comment on the blog about what your children love about maths - or what they find tricky. I am proud to say that I was one of the lucky winners. Maths has never been my strong point, so I'm really keen that all my children get the basics early on in a fun and enjoyable way so they have the foundations to tackle more complex work as they get older. 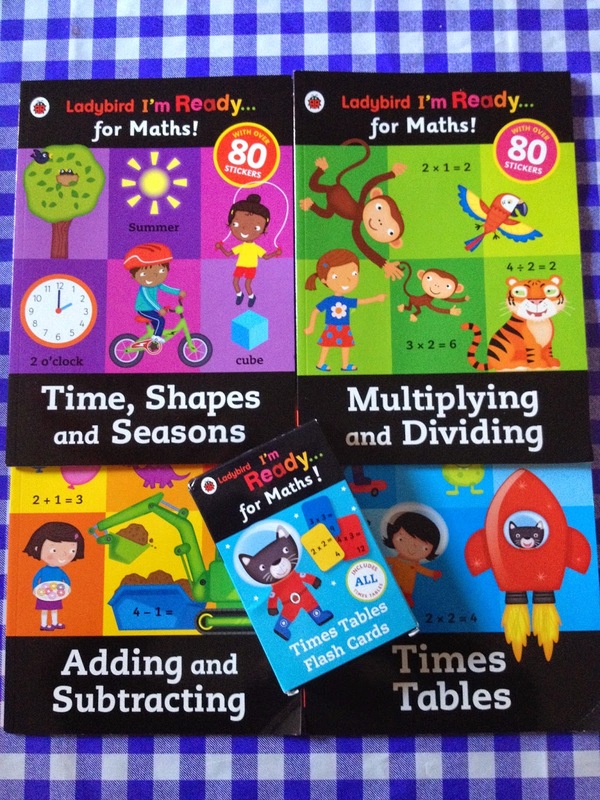 The Ladybird blog post, by Ladybird Senior Editor Nicola Bird and Ladybird Editor Jane Baldock outlined what sort of things children learn in maths when they start school and suggested ways of supporting their learning at home. My daughter started school in September and this information was really helpful - and reassured me that some of the things we are already doing are along the right lines. At the moment, we play games where we work out how many sweets or cakes are in a packet and how many each person should have so everyone has a fair share. She also enjoys baking and I take the time to show her how we measure out ingredients and count the correct number of eggs for our recipes. I'm really looking forward to introducing the books to her - she'll be over the moon with my win. And they'll be really helpful as my younger son, who is currently two, starts on his school journey too. At the moment, we are introducing maths to him through plenty of number songs and rhymes and we take any opportunity to count all sorts of things: cars parked along the road, books on the shelf, hats in the drawer etc. I think we've already been doing something right. My eldest son is already in his last year of Key Stage One at school and maths is his favourite subject. He enjoys playing times tables challenges in the car and when we are out shopping, he loves working out how much we will be charged and how much change we should get back. We're now trying to challenge him with bigger and bigger numbers - but I'm now worried I'll soon struggle to keep up with him! I'm really pleased with my first prize in my comping challenge. I wonder what the postman might bring me next! How do you introduce maths to your children? And have you had any comping successes recently?